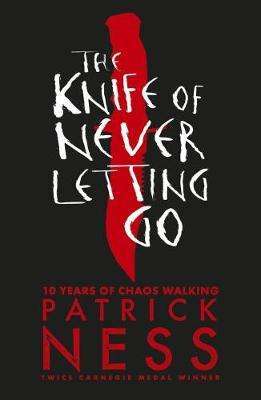 A special new edition, with a striking new cover look, to celebrate the 10th anniversary of the award-winning first novel in the Chaos Walking trilogy.Imagine you're the only boy in a town of men. And you can hear everything they think. And they can hear everything you think. Imagine you don't fit in with their plans... Todd Hewitt is just one month away from the birthday that will make him a man. But his town has been keeping secrets from him. Secrets that are going to force him to run... The new edition of this unflinching novel about fear, flight and the terrifying path of self-discovery features the short story, The New World. Set before the events of The Knife of Never Letting Go, it is the story of Viola's dramatic journey to the New World.